Off Queen St and South St. The owners are incredibly helpful and customer service oriented. 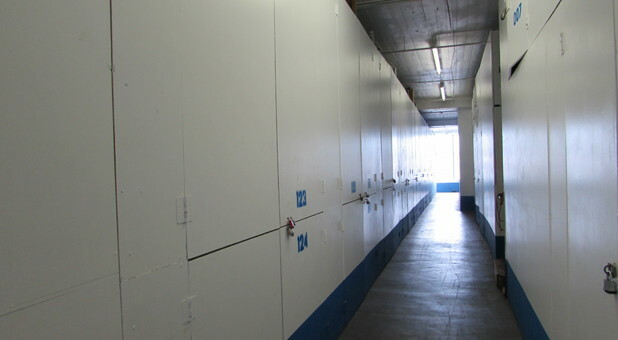 The prices are incredibly reasonable and the storage units are very clean. The place is very safe and easy to get in and out of. Thank you folks for looking out for me when I moved in my storage unit. You guys made it so easy! Good location, helpful staff, great price, covered parking, clean! The folks down at A- American Self Storage have been super supportive And so helpful during my times of crisis. The people in the office Are courteous and helpful, and especially the manager has been very creative in helping me solve my complicated storage problems. I was able to consolidate several storage spaces from different locations into one, which saved me lots of money, time and less stress. And they even let me use their truck and driver for free! The prices are competitive With other storage spaces in the area and it is conveniently located In the downtown area. Best of all, there is covered parking so your things stay dry even when it’s raining! Thanks a lot guys, you’re the best! my previous storage place was closing and friendly staff at a-american self storage helped me with available storage space and great rates. I have already recommended this company to few of my friends. Best rates in town & they give you a free move in truck and driver. Cant beat it. I have a question to ask? Is there a grace period on the monthly bill?